Allan joined Aberlour as a Director in 2010. 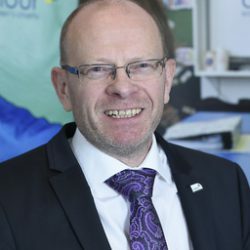 Allan gained his CIPD accreditation while working for Pinneys of Scotland, Scotland’s premier smoked salmon supplier and went on to manage HR and L&D activities in Newsquest (Herald and Times), publisher of The Herald, and social landlord, Dumfries and Galloway Housing Partnership. Allan also worked within the Children and Families sector of Wandsworth Social Services for 11 years and has been a director of voluntary sector childcare provider Mid Annandale Playcare for over 10 years.